We are looking for a qualified Self-Employed netball coach OR a candidate with a strong background in the sport to become part of our transition from a tennis coaching provider to a multi-sports coaching provider. Opportunities include running after-school clubs for primary school students, secondary school students, and adults; running club/programme sessions; forming a junior netball team. To inform management of any accidents/incidents which occur whilst working on the activity, and of any other concerns that arise, using appropriate procedures. Supervising students during changing and dispersal after the lesson, ensuring good behavior and safe conduct. To ensure all equipment is correctly maintained, stored, used and returned promptly. To provide appropriate mentoring, further support, guidance and advice to other coaches, assistants and helpers as required. To undertake any other duties as required by the line manager, where appropriate to the nature and grade of the post. Liaising with management, school business managers, teaching staff and coaches. Capable of differentiating coaching sessions. Able to demonstrate good behaviour/group management skills. 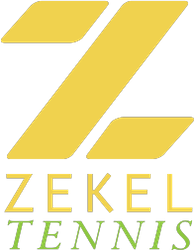 Zekel Tennis is a tennis coaching provider in West London with a fairly large kids programme. We teach between 60 - 80 children per week and we would be delighted to have someone who is good with children, energetic and has experience in tennis (or any sport) to join our team. Improve your chance to get this job. Do an online course on Sports and Fitness starting now. Hi Zekel, Reach more people by sharing this job with your network. Get updates on latest Sports & Fitness Jobs in United Kingdom - London.